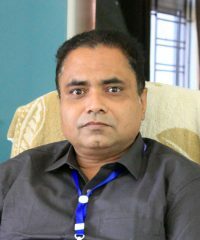 Presently working as Registrar, Assam Science and Technology University, Guwahati since 10-03-2016.
â€œReport on the Ferry sinking incident in Assam on April 30th 2012â€ at the International Workshop on Tornado risk Reduction 2013 held in Dhaka, 12-16 January 2013 and sponsored by Tokyo Polytechnic University, Japan and Bangladesh Disaster Preparedness Center (BDPC). Invited lecture on â€œTornado disasterâ€ in a public meeting organized by Tokyo Polytechnic University at Tangail, Bangladesh, 15th January 2013.
â€œNumerical and Experimental Simulation of the dry thunderstorm downburst using 3D LESâ€ National Conference on Wind Engineering, 14-15th December 2012, New Delhi, India and Co-Chaired the Technical Session 4.
â€œDamage Potential of extreme wind eventsâ€ National Conference on Emerging Global Trends in Engineering and Technology, 7-8th March 2014, Don Bosco University, Guwahati and Chaired the Technical Session 2.
â€œNumerical and Experimental simulation of thunderstorm downburstâ€ Short term course on Introduction to Numerical, Computational and Experimental Mechanics under NEQIP of AICTE held from 9th-13th December 2014 at Assam Engineering College, Guwahati. Chaired the technical session in the AICTE sponsored National Seminar on â€œDisaster Management; Issues and Challengesâ€ held on 3-4th November 2015 at Guwahati, organized by Girlsâ€™ Polytechnic Guwahati and Assam State Disaster Management authority, Government of Assam. â€œDevelopment of a numerical code to estimateÂ theÂ microburstÂ windÂ profileÂ nearÂ aÂ prismaticÂ buildingâ€ 5thÂ International symposium on wind effects on buildings and urban environments, ISWE, 7-8th MarchÂ 2011, Tokyo, Japan. â€œDevelopment of Numerical code for the simulation of translational downburstâ€ 13th International Conference onÂ Wind Engineering 2011, Amsterdam, the Netherlands , July 10-15, 2011. Invited lecture on â€œTornado disasterâ€ in a public meeting organized by Tokyo Polytechnic University (TPU), Japan at Tangail, Bangladesh, 15th January 2013. Lecture delivered as a member of the international team constituted by Tokyo Polytechnic University Japan to access the damage due to tornado disaster at Rampur village, Tangail, Bangladesh. International Symposium on â€œWind Disaster Problemsâ€ at Royal Group of Institution, Guwahati from February 21-22, 2013sponsored by ISWE & AICTE. International Workshop on â€œWind Engineering- Prospects and Challengesâ€ at Assam Engineering College, Guwahati on 23rd February 2013. Short term course on Introduction to Numerical Computational and Experimental Mechanics (INCEM 2014) at Assam Engineering College from 9th– 13th December 2014 under NEQIP scheme of AICTE. National Seminar on â€œGreen Energy â€“ Prospects and Challengesâ€ at Assam Science and Technology University, Guwahati from 26th -27th April 2016.
International Journal of wind Engineering and Industrial Aerodynamics. Reviewed paper of Â the Asia Pacific Conference on Wind Engineering (APCWE13) held in Chennai in December 2013, India. Reviewed papers of Â the National Conference on Emerging Global Trends in Engineering and Technology(EGTET 2014), held in Guwahati, 7-8th March, Don Bosco University, Guwahati. Contributed a Chapter Â on â€œCFD simulation of Thunderstorm Downburst Wind fieldâ€ in the book on â€œNew Approaches of Basic Science towards the development of Engineering and Technologyâ€ ISBN No.978-93-80408-71-2, Published by Acme Learning (Excel Books) of New Delhi, INDIA. â€œExperimental and Numerical Investigation of Wind flow over Prismatic Buildingâ€ Bora Manas,Â July 2010.
â€œNumerical Investigation of wind Flow over Prismatic Building in Tandem Arrangement, Deka Rupam, July 2011.
â€œNumerical Investigation of wind Flow over Buildings in Tandem Arrangement using ANSYSâ€ Das Hirak Ranjan, June 2012.
â€œ Numerical Investigation of Incompressible flow inside a Lid Driven Cavityâ€ Baruah Jitul, July 2013.
â€œPhysical Simulation of Tornado like vortex using double fan modelâ€ Baruah Bhabajit, July 2013.
â€œ Numerical Investigation of Flow around a rectangular cylinder using ANSYSâ€ Franky Kumar Kalia, January 2015. Awards/Prizes: Gold medal from Gauhati University, Guwahati for securing first rank in E (Mechanical) Examination in the year 1993.